JUST REPRICED FROM $19,800. Moonroof, Third Row Seat, Quad Bucket Seats, Hitch, Back-Up Camera, Remote Engine Start, Onboard Communications System, All Wheel Drive, Rear Air, ENGINE, 3.6L SIDI V6, TRANSMISSION, 6-SPEED AUTOMATIC KEY FEATURES INCLUDE All Wheel Drive, Rear Air, Back-Up Camera, Onboard Communications System, Remote Engine Start. OPTION PACKAGES SUNROOF, DUAL SKYSCAPE 2-PANEL POWER with tilt-sliding front and fixed rear with sunscreen, ALL-STAR EDITION includes (UG4) Chevrolet MyLink radio, (KA1) heated driver and front passenger seats, (UG1) Universal Home Remote, (QQD) P255/55R20 H-rated blackwall tires and (PEJ) 4 - 20 x 7.5 (50.8 cm x 19.1 cm) machine painted spoke aluminum wheels, TRAILERING EQUIPMENT includes (V08) heavy-duty cooling system and (VR2) trailer hitch, SEATING, 7-PASSENGER (2-2-3 SEATING CONFIGURATION) with 2nd row flat-folding Captains Chair and third row 60/40 split flat folding bench seat, TRANSMISSION, 6-SPEED AUTOMATIC, AUDIO SYSTEM, CHEVROLET MYLINK RADIO 6.5 diagonal color touch-screen display, AM/FM/SiriusXM/HD radio with CD player, includes Bluetooth streaming audio for music and select phones; Hands-Free smartphone integration with Pandora and Stitcher; voice-activated technology for radio and phone, ENGINE, 3.6L SIDI V6 (281 hp [210 kW] @ 6300 rpm, 266 lb-ft of torque @ 3400 rpm [359.1 N-m]) (STD). Chevrolet LT with Silver Ice Metallic exterior and Ebony interior features a V6 Cylinder Engine with 281 HP at 6300 RPM*. AFFORDABLE Was $19,800. MORE ABOUT US You've come to the right dealership! At Tom O'Brien Chrysler Jeep Dodge Ram we provide our Franklin, Indianapolis and Shelbyville customers with everything automotive, including great prices and customer service. You will find your favorite car models at a competitive price. Pricing analysis performed on 4/18/2019. Horsepower calculations based on trim engine configuration. Please confirm the accuracy of the included equipment by calling us prior to purchase. PRICED TO MOVE $600 below Kelley Blue Book! CARFAX 1-Owner, LOW MILES - 23,125! Third Row Seat, Rear Air, Quad Bucket Seats SEE MORE! KEY FEATURES INCLUDE Rear Air, Back-Up Camera, Onboard Communications System, Remote Engine Start, WiFi Hotspot Rear Spoiler, Keyless Entry, Privacy Glass, Child Safety Locks, Steering Wheel Controls. OPTION PACKAGES STYLE AND TECHNOLOGY PACKAGE includes (UI6) Chevrolet MyLink radio, (KA1) heated driver and front passenger seats, (UG1) Universal Home Remote, (QQD) P255/55R20 H-rated blackwall tires, (PJG) 4 - 20 x 7.5 (50.8 cm x 19.1 cm) painted aluminum wheels and (NV7) variable effort power steering, SEATING, 7-PASSENGER (2-2-3 SEATING CONFIGURATION) with 2nd row flat-folding Captains Chair and third row 60/40 split flat folding bench seat, AUDIO SYSTEM, CHEVROLET MYLINK 6.5 diagonal color touch-screen display, AM/FM/SiriusXM radio with CD player, includes Bluetooth streaming audio for music and select phones; Hands-Free smartphone integration with Pandora and Stitcher; voice-activated technology for radio and phone, TRANSMISSION, 6-SPEED AUTOMATIC (STD), ENGINE, 3.6L SIDI V6 (281 hp [210 kW] @ 6300 rpm, 266 lb-ft of torque @ 3400 rpm [359.1 N-m]) (STD). Chevrolet LT with BLUE VELVET METALLIC exterior and EBONY interior features a V6 Cylinder Engine with 281 HP at 6300 RPM*. EXCELLENT VALUE This Traverse is priced $600 below Kelley Blue Book. WHY BUY FROM US This great value located at O'Brien Toyota in Indianapolis. See the difference being family-owned makes in your customer service. Our family works for you. Since 1933. Pricing analysis performed on 3/25/2019. Horsepower calculations based on trim engine configuration. Please confirm the accuracy of the included equipment by calling us prior to purchase. EPA 25 MPG Hwy/17 MPG City! Leather Seats, 3rd Row Seat, DVD, Back-Up Camera, Rear Air, Satellite Radio, Bluetooth, iPod/MP3 Input, 3.6L 24-VALVE VVT V6 FLEX FUEL ENGINE... 6-SPEED AUTOMATIC TRANSMISSION W/AUTO... Quad Seats AND MORE! KEY FEATURES INCLUDE Leather Seats, Third Row Seat, DVD, Quad Bucket Seats, Power Liftgate, Rear Air, Back-Up Camera, Satellite Radio, iPod/MP3 Input, Bluetooth, CD Player, Aluminum Wheels, Dual Zone A/C, Power Fourth Passenger Door MP3 Player, Remote Trunk Release, Privacy Glass, Keyless Entry. OPTION PACKAGES 3.6L 24-VALVE VVT V6 FLEX FUEL ENGINE (STD), 6-SPEED AUTOMATIC TRANSMISSION W/AUTOSTICK (STD). EXPERTS ARE SAYING CarAndDriver.com's review says Now back up in the top minivan rankings after a recent update, the Chrysler Town & Country drives with more precision, has a better interior, and is still hugely practical.. Great Gas Mileage: 25 MPG Hwy. WHY BUY FROM US Huge Selection - Low Prices - Award Winning Service. Let our Family work for you - Since 1933! Pricing analysis performed on 4/18/2019. Fuel economy calculations based on original manufacturer data for trim engine configuration. Please confirm the accuracy of the included equipment by calling us prior to purchase. CARFAX 1-Owner. EPA 25 MPG Hwy/17 MPG City! Moonroof, Nav System, Third Row Seat, Heated Leather Seats, Entertainment System, Quad Bucket Seats, Power Liftgate, Aluminum Wheels, TRANSMISSION: 6-SPEED AUTOMATIC 62TE. CLICK ME! KEY FEATURES INCLUDE Leather Seats, Third Row Seat, Navigation, DVD, Sunroof, Quad Bucket Seats, Power Liftgate, Rear Air, Heated Driver Seat, Heated Rear Seat, Back-Up Camera, Premium Sound System, Satellite Radio, iPod/MP3 Input, Bluetooth. Rear Spoiler, MP3 Player, Power Third Passenger Door, Keyless Entry, Remote Trunk Release. OPTION PACKAGES MOPAR BODY COLOR RUNNING BOARDS Delete Body Color Sill Applique, TRANSMISSION: 6-SPEED AUTOMATIC 62TE (STD), ENGINE: 3.6L V6 24V VVT FLEX FUEL (STD). EXPERTS ARE SAYING One of the Town & Country's strongest selling points is the Stow 'n Go functionality of the second-row seats, allowing them to fold flat into the floor at the simple tug of a lever. -Edmunds.com. Great Gas Mileage: 25 MPG Hwy. SHOP WITH CONFIDENCE CARFAX 1-Owner WHO WE ARE Huge Selection - Low Prices - Award Winning Service. Let our Family work for you - Since 1933! Fuel economy calculations based on original manufacturer data for trim engine configuration. Please confirm the accuracy of the included equipment by calling us prior to purchase. CARFAX 1-Owner. PRICED TO MOVE $600 below Kelley Blue Book! Sunroof, NAV, 3rd Row Seat, Heated Leather Seats, DVD, Alloy Wheels CLICK NOW! KEY FEATURES INCLUDE Leather Seats, Third Row Seat, DVD, Sunroof, Quad Bucket Seats, Power Liftgate, Rear Air, Back-Up Camera, Satellite Radio, iPod/MP3 Input, Bluetooth, Aluminum Wheels, Remote Engine Start, Dual Zone A/C, Power Fourth Passenger Door. Rear Spoiler, Privacy Glass, Remote Trunk Release, Child Safety Locks. OPTION PACKAGES QUICK ORDER PACKAGE 29V ANNIVERSARY EDITION Engine: 3.6L V6 24V VVT Flex Fuel, Transmission: 6-Speed Automatic 62TE, Anniversary Edition, Anniversary Edition Splash Screen, Heated Front Seats, Heated Second Row Seats, Bright Door Handles, Heated Steering Wheel, Remote Proximity Keyless Entry, Keyless Enter-N-Go, Dual Rear Overhead Mini Consoles, Mini Overhead Console, Anniversary Edition Floor Mats, RADIO: 430N SiriusXM Travel Link, Garmin Navigation System, TRANSMISSION: 6-SPEED AUTOMATIC 62TE (STD), ENGINE: 3.6L V6 24V VVT FLEX FUEL (STD). A GREAT TIME TO BUY This Town & Country is priced $600 below Kelley Blue Book. BUY WITH CONFIDENCE CARFAX 1-Owner WHO WE ARE This great value located at O'Brien Toyota in Indianapolis. See the difference being family-owned makes in your customer service. Our family works for you. Since 1933. Pricing analysis performed on 4/23/2019. Fuel economy calculations based on original manufacturer data for trim engine configuration. Please confirm the accuracy of the included equipment by calling us prior to purchase. CARFAX 1-Owner. $6,000 below Kelley Blue Book!, FUEL EFFICIENT 25 MPG Hwy/18 MPG City! 3rd Row Seat, CD Player, iPod/MP3 Input READ MORE! KEY FEATURES INCLUDE Third Row Seat, Quad Bucket Seats, Rear Air, iPod/MP3 Input, CD Player, Aluminum Wheels, Dual Zone A/C, Fourth Passenger Door Rear Spoiler, MP3 Player, Keyless Entry, Child Safety Locks. OPTION PACKAGES TOWING PKG 3500# towing capacity, HD radiator, HD fan, engine oil cooler, tow prep wire harness. Toyota L with SHORELINE BLUE PEARL exterior and LIGHT GRAY interior features a V6 Cylinder Engine with 266 HP at 6200 RPM*. A GREAT TIME TO BUY This Sienna is priced $6,000 below Kelley Blue Book. SHOP WITH CONFIDENCE CARFAX 1-Owner OUR OFFERINGS This great value located at O'Brien Toyota in Indianapolis. See the difference being family-owned makes in your customer service. Our family works for you. Since 1933. Pricing analysis performed on 4/23/2019. Horsepower calculations based on trim engine configuration. Fuel economy calculations based on original manufacturer data for trim engine configuration. Please confirm the accuracy of the included equipment by calling us prior to purchase. EPA 25 MPG Hwy/18 MPG City! Extra Clean, CARFAX 1-Owner. Sunroof, Navigation, Heated Leather Seats, 3rd Row Seat, Power Liftgate SEE MORE! KEY FEATURES INCLUDE Leather Seats, Third Row Seat, Sunroof, Quad Bucket Seats, Power Liftgate, Rear Air, Heated Driver Seat, Satellite Radio, iPod/MP3 Input, Bluetooth, CD Player, Aluminum Wheels, Dual Zone A/C, Power Fourth Passenger Door, Heated Seats. Rear Spoiler, MP3 Player, Remote Trunk Release, Privacy Glass. OPTION PACKAGES XLE PREMIUM NAVIGATION PKG W/ENTUNE 6.1 touch-screen w/backup camera display, advanced voice recognition, smart key system w/push button start, chrome accented exterior door handles w/touch lock/unlock, HD Radio w/iTunes tagging, phone book access, rear sonar, remote illuminated entry. Toyota XLE with Predawn Gray Mica exterior and Light Gray interior features a V6 Cylinder Engine with 266 HP at 6200 RPM*. WHO WE ARE This great value located at O'Brien Toyota in Indianapolis. See the difference being family-owned makes in your customer service. Our family works for you. Since 1933. Pricing analysis performed on 4/5/2019. Horsepower calculations based on trim engine configuration. Fuel economy calculations based on original manufacturer data for trim engine configuration. Please confirm the accuracy of the included equipment by calling us prior to purchase. CARFAX 1-Owner. FUEL EFFICIENT 25 MPG Hwy/18 MPG City! 3rd Row Seat, CD Player, Bluetooth, Power Fourth Passenger Door, Dual Zone A/C SEE MORE! KEY FEATURES INCLUDE Third Row Seat, Rear Air, Back-Up Camera, Satellite Radio, iPod/MP3 Input, Bluetooth, CD Player, Aluminum Wheels, Dual Zone A/C, Power Fourth Passenger Door Rear Spoiler, MP3 Player, Keyless Entry, Privacy Glass. Toyota LE with PREDAWN GRAY MICA exterior and ASH interior features a V6 Cylinder Engine with 266 HP at 6200 RPM*. BUY WITH CONFIDENCE CARFAX 1-Owner VISIT US TODAY This great value located at O'Brien Toyota in Indianapolis. See the difference being family-owned makes in your customer service. Our family works for you. Since 1933. Pricing analysis performed on 4/11/2019. Horsepower calculations based on trim engine configuration. Fuel economy calculations based on original manufacturer data for trim engine configuration. Please confirm the accuracy of the included equipment by calling us prior to purchase. FUEL EFFICIENT 27 MPG Hwy/19 MPG City! Excellent Condition, CARFAX 1-Owner. 3rd Row Seat, CD Player, Bluetooth, Dual Zone A/C AND MORE! KEY FEATURES INCLUDE Third Row Seat, Rear Air, Back-Up Camera, Satellite Radio, iPod/MP3 Input, Bluetooth, CD Player, Aluminum Wheels, Dual Zone A/C, Power Fourth Passenger Door. Rear Spoiler, MP3 Player, Privacy Glass, Keyless Entry. Toyota LE with Super White exterior and Ash interior features a V6 Cylinder Engine with 296 HP at 6600 RPM*. Serviced here, Non-Smoker vehicle. BUY FROM AN AWARD WINNING DEALER This great value located at O'Brien Toyota in Indianapolis. See the difference being family-owned makes in your customer service. Our family works for you. Since 1933. Pricing analysis performed on 3/29/2019. Horsepower calculations based on trim engine configuration. Fuel economy calculations based on original manufacturer data for trim engine configuration. Please confirm the accuracy of the included equipment by calling us prior to purchase. CARFAX 1-Owner, Extra Clean, ONLY 36,946 Miles! EPA 25 MPG Hwy/18 MPG City! 3rd Row Seat, Bluetooth, iPod/MP3 Input, CD Player READ MORE! KEY FEATURES INCLUDE Third Row Seat, Rear Air, Back-Up Camera, Satellite Radio, iPod/MP3 Input, Bluetooth, CD Player, Aluminum Wheels, Dual Zone A/C, Power Fourth Passenger Door Rear Spoiler, MP3 Player, Keyless Entry, Privacy Glass. OPTION PACKAGES PROTECTION PACKAGE Mudguards, Door Edge Guards, Alloy Wheel Locks, Lower Door Molding. Toyota LE with Silver Sky Metallic exterior and Ash interior features a V6 Cylinder Engine with 266 HP at 6200 RPM*. Serviced here, Non-Smoker vehicle. PURCHASE WITH CONFIDENCE CARFAX 1-Owner WHO WE ARE This great value located at O'Brien Toyota in Indianapolis. See the difference being family-owned makes in your customer service. Our family works for you. Since 1933. Pricing analysis performed on 4/5/2019. Horsepower calculations based on trim engine configuration. Fuel economy calculations based on original manufacturer data for trim engine configuration. Please confirm the accuracy of the included equipment by calling us prior to purchase. CARFAX 1-Owner, Superb Condition, ONLY 36,322 Miles! PRICED TO MOVE $1,200 below Kelley Blue Book! 3rd Row Seat, iPod/MP3 Input AND MORE! KEY FEATURES INCLUDE Third Row Seat, All Wheel Drive, Quad Bucket Seats, Rear Air, Back-Up Camera, Satellite Radio, iPod/MP3 Input, Bluetooth, CD Player, Aluminum Wheels, Dual Zone A/C, Power Fourth Passenger Door. Rear Spoiler, MP3 Player, Keyless Entry, Privacy Glass. OPTION PACKAGES PROTECTION PACKAGE Mudguards, Door Edge Guards, Alloy Wheel Locks, Lower Door Molding. Toyota LE with Predawn Gray Mica exterior and Ash interior features a V6 Cylinder Engine with 266 HP at 6200 RPM*. Serviced here, Non-Smoker vehicle. PRICED TO MOVE This Sienna is priced $1,200 below Kelley Blue Book. SHOP WITH CONFIDENCE CARFAX 1-Owner VISIT US TODAY This great value located at O'Brien Toyota in Indianapolis. See the difference being family-owned makes in your customer service. Our family works for you. Since 1933. Pricing analysis performed on 4/12/2019. Horsepower calculations based on trim engine configuration. Please confirm the accuracy of the included equipment by calling us prior to purchase. CARFAX 1-Owner. EPA 25 MPG Hwy/18 MPG City! Heated Leather Seats, 3rd Row Seat, Sunroof, Satellite Radio, iPod/MP3 Input READ MORE! KEY FEATURES INCLUDE Leather Seats, Third Row Seat, Sunroof, Power Liftgate, Rear Air, Heated Driver Seat, Back-Up Camera, Satellite Radio, iPod/MP3 Input, Bluetooth, CD Player, Aluminum Wheels, Keyless Start, Dual Zone A/C, Power Fourth Passenger Door. Rear Spoiler, MP3 Player, Remote Trunk Release, Privacy Glass. Toyota XLE with SILVER SKY METALLIC exterior and ASH interior features a V6 Cylinder Engine with 266 HP at 6200 RPM*. PURCHASE WITH CONFIDENCE CARFAX 1-Owner WHY BUY FROM US This great value located at O'Brien Toyota in Indianapolis. See the difference being family-owned makes in your customer service. Our family works for you. Since 1933. Horsepower calculations based on trim engine configuration. Fuel economy calculations based on original manufacturer data for trim engine configuration. Please confirm the accuracy of the included equipment by calling us prior to purchase. Excellent Condition, ONLY 29,857 Miles! Sunroof, Navigation, 3rd Row Seat, Heated Leather Seats, DVD Entertainment System SEE MORE! KEY FEATURES INCLUDE Leather Seats, Third Row Seat, Navigation, DVD, Sunroof, Power Liftgate, Rear Air, Heated Driver Seat, Back-Up Camera, Satellite Radio, iPod/MP3 Input, Bluetooth, CD Player, Aluminum Wheels, Keyless Start. Rear Spoiler, MP3 Player, Power Third Passenger Door, Remote Trunk Release, Privacy Glass. OPTION PACKAGES XLE PREMIUM PACKAGE. Toyota XLE Premium with SILVER SKY METALLIC exterior and ASH interior features a V6 Cylinder Engine with 266 HP at 6200 RPM*. Serviced here, Non-Smoker vehicle. BUY FROM AN AWARD WINNING DEALER This great value located at O'Brien Toyota in Indianapolis. See the difference being family-owned makes in your customer service. Our family works for you. Since 1933. Pricing analysis performed on 4/24/2019. Horsepower calculations based on trim engine configuration. Fuel economy calculations based on original manufacturer data for trim engine configuration. Please confirm the accuracy of the included equipment by calling us prior to purchase. CARFAX 1-Owner, Excellent Condition, GREAT MILES 9,900! EPA 24 MPG Hwy/18 MPG City! 3rd Row Seat, iPod/MP3 Input, Satellite Radio AND MORE! KEY FEATURES INCLUDE Third Row Seat, All Wheel Drive, Quad Bucket Seats, Rear Air, Back-Up Camera, Satellite Radio, iPod/MP3 Input, Bluetooth, CD Player, Aluminum Wheels, Dual Zone A/C, Power Fourth Passenger Door Rear Spoiler, MP3 Player, Keyless Entry, Privacy Glass. Toyota LE with Super White exterior and Ash interior features a V6 Cylinder Engine with 296 HP at 6600 RPM*. Non-Smoker vehicle. SHOP WITH CONFIDENCE CARFAX 1-Owner WHY BUY FROM US This great value located at O'Brien Toyota in Indianapolis. See the difference being family-owned makes in your customer service. Our family works for you. Since 1933. Pricing analysis performed on 4/22/2019. Horsepower calculations based on trim engine configuration. Fuel economy calculations based on original manufacturer data for trim engine configuration. Please confirm the accuracy of the included equipment by calling us prior to purchase. Moonroof, Heated Leather Seats, Third Row Seat, Bluetooth, iPod/MP3 Input. XLE trim. FUEL EFFICIENT 27 MPG Hwy/19 MPG City! AND MORE! KEY FEATURES INCLUDE Leather Seats, Third Row Seat, Sunroof, Power Liftgate, Rear Air, Heated Driver Seat, Back-Up Camera, Satellite Radio, iPod/MP3 Input, Bluetooth, CD Player, Aluminum Wheels, Keyless Start, Dual Zone A/C, Power Fourth Passenger Door. Rear Spoiler, MP3 Player, Keyless Entry, Remote Trunk Release. OPTION PACKAGES CARPET MAT PACKAGE carpet floor mats and door sill protectors. Toyota XLE with BLIZZARD PEARL exterior and BISQUE interior features a V6 Cylinder Engine with 296 HP at 6600 RPM*. BUY FROM AN AWARD WINNING DEALER This great value located at O'Brien Toyota in Indianapolis. See the difference being family-owned makes in your customer service. Our family works for you. Since 1933. Horsepower calculations based on trim engine configuration. Fuel economy calculations based on original manufacturer data for trim engine configuration. Please confirm the accuracy of the included equipment by calling us prior to purchase. Heated Leather Seats, Navigation, DVD Entertainment System, Third Row Seat, Moonroof, XLE PREMIUM PACKAGE. XLE Premium trim. AND MORE! KEY FEATURES INCLUDE Leather Seats, Third Row Seat, Navigation, DVD, Sunroof, Power Liftgate, Rear Air, Heated Driver Seat, Back-Up Camera, Satellite Radio, iPod/MP3 Input, Bluetooth, CD Player, Aluminum Wheels, Keyless Start Rear Spoiler, MP3 Player, Power Third Passenger Door, Remote Trunk Release, Privacy Glass. OPTION PACKAGES ALL WEATHER FLOOR LINERS & DOOR SILL PROTECTORS door sill protector, XLE PREMIUM PACKAGE HomeLink, electrochromic rearview mirror. Toyota XLE Premium with MIDNIGHT BLACK METALLIC exterior and ASH interior features a V6 Cylinder Engine with 296 HP at 6600 RPM*. WHO WE ARE This great value located at O'Brien Toyota in Indianapolis. See the difference being family-owned makes in your customer service. Our family works for you. Since 1933. Horsepower calculations based on trim engine configuration. Fuel economy calculations based on original manufacturer data for trim engine configuration. Please confirm the accuracy of the included equipment by calling us prior to purchase. Heated Leather Seats, NAV, DVD, 3rd Row Seat, Sunroof, XLE PREMIUM PACKAGE. XLE Premium trim. EPA 27 MPG Hwy/19 MPG City! AND MORE! KEY FEATURES INCLUDE Leather Seats, Third Row Seat, Navigation, DVD, Sunroof, Power Liftgate, Rear Air, Heated Driver Seat, Back-Up Camera, Satellite Radio, iPod/MP3 Input, Bluetooth, CD Player, Aluminum Wheels, Keyless Start Rear Spoiler, MP3 Player, Power Third Passenger Door, Remote Trunk Release, Privacy Glass. OPTION PACKAGES ALL WEATHER FLOOR LINERS & DOOR SILL PROTECTORS door sill protector, XLE PREMIUM PACKAGE HomeLink, electrochromic rearview mirror. Toyota XLE Premium with SALSA RED PEARL exterior and ASH interior features a V6 Cylinder Engine with 296 HP at 6600 RPM*. WHY BUY FROM US This great value located at O'Brien Toyota in Indianapolis. See the difference being family-owned makes in your customer service. Our family works for you. Since 1933. Horsepower calculations based on trim engine configuration. Fuel economy calculations based on original manufacturer data for trim engine configuration. Please confirm the accuracy of the included equipment by calling us prior to purchase. Sunroof, Heated Leather Seats, DVD, NAV, 3rd Row Seat, CARPET MAT PACKAGE, Rear Air. EPA 27 MPG Hwy/19 MPG City! SE Premium trim CLICK ME! KEY FEATURES INCLUDE Leather Seats, Third Row Seat, Navigation, DVD, Sunroof, Power Liftgate, Rear Air, Heated Driver Seat, Back-Up Camera, Satellite Radio, iPod/MP3 Input, Bluetooth, CD Player, Aluminum Wheels, Keyless Start Rear Spoiler, MP3 Player, Power Third Passenger Door, Keyless Entry, Privacy Glass. OPTION PACKAGES CARPET MAT PACKAGE carpet floor mats and door sill protectors. Toyota SE Premium with CELESTIAL SILVER METALLIC exterior and BLACK interior features a V6 Cylinder Engine with 296 HP at 6600 RPM*. MORE ABOUT US This great value located at O'Brien Toyota in Indianapolis. See the difference being family-owned makes in your customer service. Our family works for you. Since 1933. Horsepower calculations based on trim engine configuration. Fuel economy calculations based on original manufacturer data for trim engine configuration. Please confirm the accuracy of the included equipment by calling us prior to purchase. Heated Leather Seats, Navigation, DVD Entertainment System, Third Row Seat, Moonroof. PARISIAN NIGHT PEARL exterior and BLACK interior SEE MORE! KEY FEATURES INCLUDE Leather Seats, Third Row Seat, Navigation, DVD, Sunroof, All Wheel Drive, Quad Bucket Seats, Power Liftgate, Rear Air, Heated Driver Seat, Back-Up Camera, Premium Sound System, Satellite Radio, iPod/MP3 Input, Bluetooth Rear Spoiler, MP3 Player, Power Third Passenger Door, Keyless Entry, Privacy Glass. OPTION PACKAGES CARPET MAT PACKAGE carpet floor mats and door sill protectors, SE PREMIUM PACKAGE 4-Corner/Back Clearance & Back Sonar, HomeLink, electrochromic rearview mirror. Toyota SE Premium with PARISIAN NIGHT PEARL exterior and BLACK interior features a V6 Cylinder Engine with 296 HP at 6600 RPM*. WHY BUY FROM US This great value located at O'Brien Toyota in Indianapolis. See the difference being family-owned makes in your customer service. Our family works for you. Since 1933. Horsepower calculations based on trim engine configuration. Fuel economy calculations based on original manufacturer data for trim engine configuration. Please confirm the accuracy of the included equipment by calling us prior to purchase. Heated Leather Seats, NAV, DVD, 3rd Row Seat, Sunroof, Alloy Wheels. FUEL EFFICIENT 24 MPG Hwy/18 MPG City! Limited Premium trim AND MORE! KEY FEATURES INCLUDE Leather Seats, Third Row Seat, Navigation, DVD, All Wheel Drive, Quad Bucket Seats, Power Liftgate, Rear Air, Heated Driver Seat, Back-Up Camera, Premium Sound System, Satellite Radio, iPod/MP3 Input, Onboard Communications System, Dual Moonroof Rear Spoiler, MP3 Player, Power Third Passenger Door, Privacy Glass, Remote Trunk Release. OPTION PACKAGES CARPET MAT PACKAGE carpet floor mats and door sill protectors, LIMITED PREMIUM PACKAGE HomeLink, electrochromic rearview mirror. Toyota Limited Premium with MIDNIGHT BLACK METALLIC exterior and CHESTNUT interior features a V6 Cylinder Engine with 296 HP at 6600 RPM*. WHO WE ARE This great value located at O'Brien Toyota in Indianapolis. See the difference being family-owned makes in your customer service. Our family works for you. Since 1933. Horsepower calculations based on trim engine configuration. Fuel economy calculations based on original manufacturer data for trim engine configuration. Please confirm the accuracy of the included equipment by calling us prior to purchase. In addition, our financiers can help you research all available rebates and dealer incentives so you know you’re not paying a dime more than you must. With access to national lenders, they can also tailor a flexible contract to your unique monthly budget. 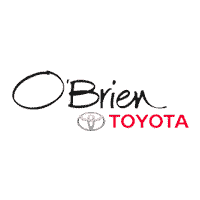 Finally, it takes one look at our vast and diverse inventory to see that you’re going to have a lot options when you choose to shop with O'Brien Toyota, so it should be easy for you to find your dream car at your price-point. Contact us today to take one of the large family cars we have for sale in Indianapolis.